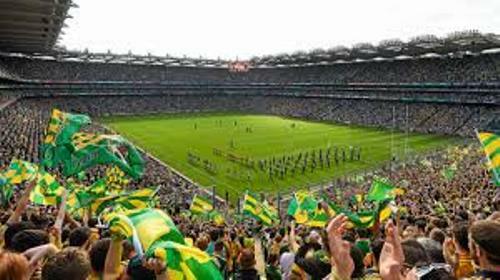 Facts about Croke Park elaborate the information about the famous stadium in Dublin, Ireland. This stadium is simply called Croker. The name is derived from Archbishop Thomas Croke. Gaelic Athletic Association uses Croke Park as their base and main stadium. There have been various Gaelic games hosted by GAA in the Croke Park since 1884. There are various notable events which have been conducted in Croke Park. The stadium hosted the opening and closing ceremonies for Special Olympics in 2003. The All-Ireland finals of hurling and footballs were conducted in Croke Park. Croke Park is not only used to host the sport events. There are many international and musical concerts conducted here. Check facts about Conwy Castle here. The games played the national football team of Republic of Ireland and the national rugby union team of Ireland was conducted in Croke Park because Aviva Stadium was under construction. Pope Benedict XVI addressed around 80,000 people in a video link during the closing ceremony of fiftieth International Eucharistic Congress in June 2012. Croke Park can accommodate around 82,300 people after it was redeveloped in 1990s. Find facts about Cristo Redentor here. In Europe, Croke Park is considered as the 3rd largest one. In the past, Maurice Butterly owned the site in 1880s. It was called Jones’ Road sports ground or City and Suburban Racecourse. Then the land was purchased by GAA. It was renamed Croke Park. In 1961, Croke Park had the highest attendance. There were 90,556 people who watched the All-Ireland Senior Football Championship Final. The massacre of RIC or Royal Irish Constabulary was conducted in Croke Park on November 21st, 1920. The massacre occurred during the Irish Independence War. Michael Hogan was one of the victims. He was a Tipperary player. In 1924, he was honored posthumously after Hogan Stand was established. You can spot the conference areas, bars and restaurants in the premium level of Croke Park. Do you have any comment on facts about Croke Park?